Product prices and availability are accurate as of 2019-04-08 19:47:24 EDT and are subject to change. Any price and availability information displayed on http://www.amazon.com/ at the time of purchase will apply to the purchase of this product. Product inspiration: the use of clear glass in lighting was relatively rare until recently. It can only be assumed that this was largely due to the less-than-attractive appearance of incandescent and fluorescent bulbs. 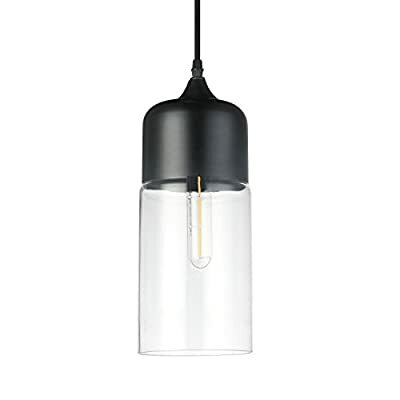 But as Vintage edison bulbs have soared in popularity, clear glass has become the new chic as it allows the filament bulbs to be seen in all their glory. 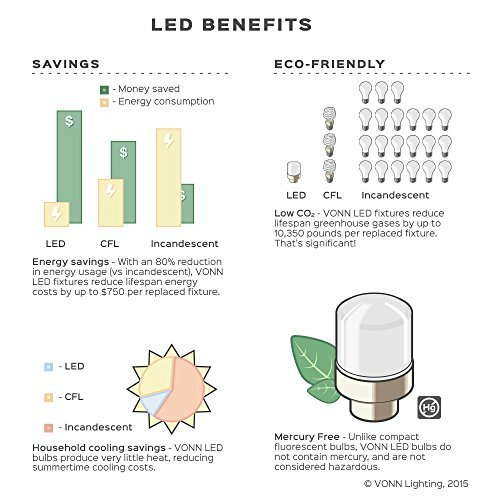 The Delphinus collection by VONN adopts this look, but with an LED twist: supplied with each fixture are filament-style LED bulbs that look authentic to the popular tungsten filament bulb. The final result is a bit of a conversation piece… modern LED technology in an eye-catching Vintage style. 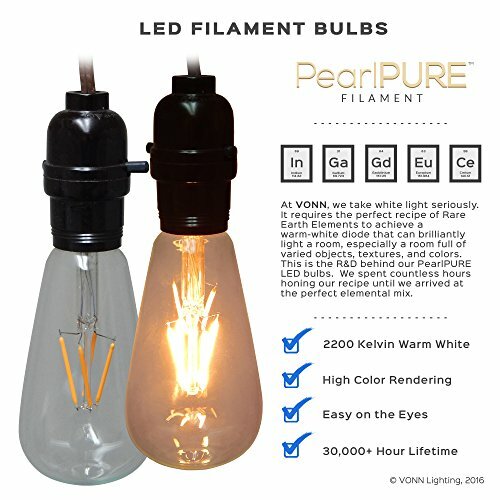 Product features: • LED: included with fixture is one VONN PEARLPURE LED bulb • unique design: industrial pendant with filament-style LED PEARLPURE bulb wrapped in clear, cylindrical glass • dimmable: full dimming, 0.01% to 100%, on standard dimmer switches • warm white: 2200 Kelvin color temperature, the same as Vintage filament bulbs • period-authentic: 180 lumens, roughly the same as one 20 watt filament bulb • efficiency: 3 watts TOTAL consumption, 0.003Kwh • dry location: UL listed and approved for dry locations (kitchen is okay) • voltage: Operates on standard 120 line voltage; a separate transformer is not required product Technologies and benefits: • PEARLPURE DIODE ARRAYS: brilliant, full-bodied warm white light with high color rendering product specifications: • bulb type: LED • shade diameter: 5.13 inches • overall height: Min: 16.54 inches, Max: 82.28 inches • CANOPY dimensions: 5.51 inches x 5.51 inches.